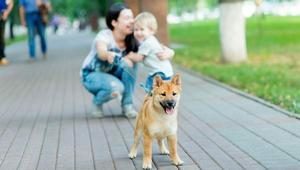 ‘Awww, cute’ may be the way you react to your neighbourhood pooch when it’s out on its walk and wagging its tail at you. But if you own an exotic breed such as a Great Dane, Terrier or St. Bernard, it’s not just about their cuteness; your own style quotient can improve by several notches. Such dogs get to live in a world of their own. Often, they are pampered silly. Exotic dogs often have their pick of fancy, imported pet food, indulge in dog spas with skin care, grooming and pedicure, are adorned with jewellery and have a personal doctor and trainer. People take great pains to make the dog comfortable, no expense spared. When it comes to exotic breeds, you can get one from ₹25,000 to ₹25 lakh and more. But the best way to own a dog is to adopt one. However, people who have specific dogs in mind can opt for exotic breeds. Foreign dogs have different physical traits and are known for their unique features. Before you go for an exotic dog breed, figure out the type of dog you want, based on your personality and lifestyle. Dogs with similar characters are grouped under one of the seven categories (hound, working, gundog, terrier, utility, pastoral and toy) according to the UK’s kennel club standards. The hound breeds were originally used for hunting (either by sight or smell). The dogs under this (scent) category include beagles and bloodhounds. The sight hounds are breeds such as greyhound and whippet. Hounds require a lot of exercise. They are aloof but trustworthy. Gundogs, on the other hand, were originally trained to hunt live game or retrieve or rescue wounded animals. They include breeds such as retrievers, spaniels and setters. These dogs require plenty of exercise and attention. They are considered the most intelligent among their kind. Pastoral dogs, such as collies and samoyeds, are herding dogs and are naturally protected from severe weather conditions. Toy-dogs are small companion or lap dogs. They do not require much exercise and are usually overprotective of their owners. Chihuahuas, Maltese, Pomeranians, and pugs are some of the breeds in this group. People usually choose dogs based on physical qualities such as the size or length of their hair. Certain breeds are hypoallergenic (won’t trigger allergies) and are extremely good with children while others have the strong prey drive and are difficult to control. For instance, the gundog breeds, which were basically trained to hunt game, exhibit aggressive behaviour such as excessive barking and hyperactivity, which can be undesirable if there are toddlers around. However, if you are more into outdoor activities such as biking and hiking, these might be the right companions for you. If you are looking for dogs that guard, you could opt for working breeds that were originally meant to guard. Great Danes and St. Bernards are natural guard dogs and are wary of all outsiders. Climatic conditions, where you live and how much time you can spend with your dog are also major factors to be considered while choosing a dog. The purchase price of an exotic breed may vary depending on multiple factors. According to Grandhi, the English bulldog, an iconic British breed, is considered one of the most expensive dogs globally. Pure-bred English bulldogs range between ₹1 lakh and ₹2.5 lakh in India. It is better to go for dogs whose bloodlines are known since one gets a clearer picture about their health and temperament. Such dogs are bred by registered breeders who have the requisite clearances. Exotic rare breeds could cost more than the regular exotic ones, and this could also be based on colour and availability. Among English bulldogs, the colours blue, grey and white are rare and therefore cost more, about ₹4 lakh and above. According to Harshdeep Tegha of Tegha Kennels, Gurgaon, rare dogs such as Puli and Komondor, of the pastoral group, sell at around ₹11 lakh. These dogs are for people who can spend time with them. They are large and powerfully built, with a dense coat or fur, and usually have a life-span of less than 10 years. If you are looking for smaller-sized exotic breeds, then Shiba Inu could be suitable. This dog is active and has quick, light movements. It costs around ₹11 lakh and has a life-span of over 10 years. Other exotic varieties such as Bolognese, Leon Berger, Golden retriever, Alaskan malamute and Maltese are frequently purchased and range between ₹2 lakh and ₹6 lakh. Almost all exotic dogs have weak immune system due to the change of environment from their natural habitat. Hence, they are prone to various problems such as excessive hair shedding, ragged breathing, skin disease and frequent allergic reactions. Grandhi of Mansan Kennels observes that most exotic dogs suffer from canine parvovirus (CPV), particularly in the first few weeks of the litter’s growth, but if cared for right, they will grow up healthy. That said, indigenous dog breeds are increasingly gaining attention as they have high immunity. Thus, regular vaccination, frequent health check-ups, eye test, skin care, shampoo, proper diet and exercise are required for the canines to adapt and adjust to their new environment. It is advisable to purchase quality food for your dog, especially at the early stages of their life, when they have to eat three or four times a day. “These dogs need proper grooming and have to be taken to the spa from time to time. 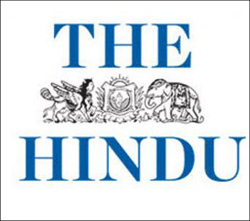 The animals are bought by people who are willing to take care of them and ready to spend on their maintenance if need be,” says Harshdeep Tegha.